Le Monde has called Life and Fate "the greatest Russian novel of the twentieth century," and Martin Amis once described its author, Vasily Grossman, as "the Tolstoy of the USSR." Now, if you haven't read the novel, you can begin to understand the reason for all of the high praise. Starting this week, the BBC will air an eight-hour dramatization of the masterpiece that offered a sweeping account of the siege of Stalingrad, one of the bloodiest battles of World War II. Although originally written in 1959, the book was officially censored in the Soviet Union until 1988 because, in the estimation of the apparatchiks, it threatened to do more harm to the USSR than Pasternak's Doctor Zhivago. 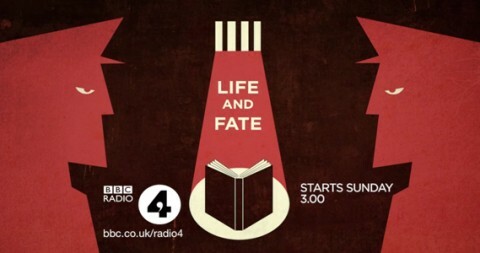 Kenneth Branagh and David Tennant star in the 13-episode series that will be broadcast from 18 to 25 September on Radio 4. You can access the audio files online or via iTues, RSS Feed, and other formats here. It is a bit awkward, to my mind, to characterize Grossman as a “Soviet,” despite his time reporting alongside the Red Army and his support for the revolution. Certainly, he was a citizen of the Soviet Union and would have called himself Soviet – but as a writer he was an ardent opponent of “co-voice” ideas like collectivization and totalitarian control. As a Jew and the son of a Menshevik, he and many of those close to him (his wife, for example) were targeted/arrested by the government during the Great Purge and the post-war anti-Semitic pogroms instigated by Stalin. If Grossman can be called a Soviet, then he was an early-Soviet along the lines of Gorky or perhaps Bulgakov (and later, Solzhenitsyn). He and his work was heavily censured and censored by Soviet authorities. “Soviet” is a word burdened with the atrocities of Stalin and the turmoil of the Cold War.